If you're unfamiliar with a passport wallet, it might be difficult choosing the best for you! Not to worry, as I show you the ultimate guide to purchasing the best passport wallet for travel to help you out. What is the Best Passport Wallet? Should I Use a Passport Wallet? How to Use a Passport Wallet? Where to Buy a Passport Wallet? Your travel documents need a good place to stay in. You wouldn't want to just put it inside your bag, where it can easily get lost! Not only is here more of a chance of it getting lost, but it isn't nice having to fumble around, looking for your travel documents consistently. Your passport won't be able to fit in your wallet, which is also a disadvantage. But with a quality passport wallet, you'll be able to not only store your essential travel documents like your passport, but you'll also be able to save your cash and cards as well. A passport wallet is exactly what it's called: A small storage that will be able to keep your travel documents safe. Just like a wallet that helps organize your cards and cash, this can put your passport in safely, usually holding features such as storing in multiple passports or other small items. Passport wallets are like a book you can use to cover your wallet to protect it from damage or loss. Made out of various materials, they have a ton of benefits you'll be able to reap! Like mentioned, passport wallets can help cover your passport, ensuring that it won't break or get damaged from anything. Some passport wallets are even waterproof and can withstand any weather conditions or accidents, making you tiptoe less and focus more on your adventure. Doesn't it get annoying having to dig through your carry-on or bag, trying to look for your passport? With a passport holder, you can easily put it in a bag pocket, along with your cash and cards, and you can identify it quickly, saving you a ton of time and effort. This is great, especially if you're in a hurry. There are a lot of passport wallets that come in various styles. You can find cartoon themed passport holders, or you can even find one in different shapes and colors that fit your passport. It doesn't only make you look stylish, but can make a great conversation starter when other people see it. It may be a bit tedious having to remove it when at airport stops, but you look good and you've assured protection while looking good, which is what matters most. We recommend getting be best leather passport wallet for style and durability. Not only will your wallet hold your passport, but it can also keep your cash and cards as well. This is a huge help for those who are constantly in a hurry or always fumbling for their wallets, looking for what they need when paying or showing travel documents. If you use a passport wallet, you have everything needed for one item, so you can save a ton of time and effort, as well as organize your stuff. It's also great organization especially when you're with family since you can pack in multiple passports in one wallet at times, so you can keep your kids' passports without the hassle of looking through your bag for each and every one passport when at airport stops. Many pickpockets or thieves look for passports or anything valuable to sell. With a passport wallet, you have added protection as it looks discreet, reducing the chance of it being stolen, with thieves not being able to see the passport in clear sight. Getting the best-hidden passport wallet will reduce chances of your being stolen! Passport wallets are very beneficial, but the question is: Do YOU need it? Just like purchasing other things, you'll need to make sure you evaluate how you travel! 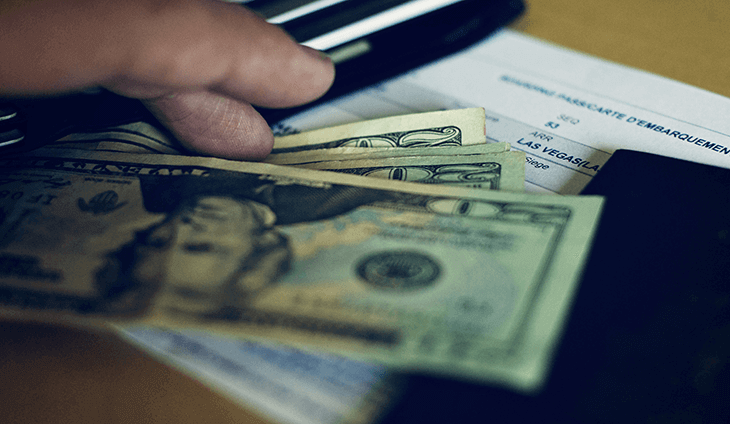 Many people think that passport wallet is just another expense, but like mentioned, it has a lot of benefits you will be able to reap. It makes a great investment for those who constantly travel. So if you're always on-the-go and need a small wallet that holds everything you need, then a passport wallet is a must. Once you use it, particularly since a traveler, I assured you that you'd feel very organized and relieved all that you need when traveling is in one little pack. To put it shortly, if you constantly travel and need something that organizes your small necessities, then yes, you will need a passport wallet! Using a passport wallet isn't rocket science. It's very easy as if you were using a regular wallet, but with your passport inside it. But you must heighten your awareness when bringing it out since it holds more than your cash, but your identification as well while you travel. But there are more tips you can follow when using a passport wallet, and it isn't just how you can organize and store your essentials properly. Here are some tips you can follow when using a passport wallet while you travel. Like mentioned above, make sure that you stay safe! Your passport wallet may hold everything you need, so while it may not look like it holds much, it's still best to keep it inside your personal bag or within sight. While you aren't traveling, keep it inside a hidden place around your home. If you are with a family, we recommend that you get a passport wallet for 4 passports that can fit multiple passports for added protection and organization. While passport wallets are great in reducing chances from your passport being stolen, there are still scary possibilities as well. Make sure you keep a photocopy of your passport, as well as scanned pages saved on your computer or mobile device. This will help lessen the hassle of identification, just in case. You can find a ton of passport wallets from reputable online shops, or in local stores near you. It's easy to purchase a passport wallet as they are affordable, depending on the brand you're getting. But the question is: How can you choose the best one for YOU? There are different types of passports according to its material. It can be made out of plastic, leather, or polyester, with the latter being one of the more popular. If you are constantly on-the-go and adventurous, then we recommend a plastic passport holder that waterproofs your wallet. For people in business and those who want a sleek design, the best leather passport wallet is the way to go. How big would you like your passport wallet to the? Usually, they are almost the exact size of your passport, but some can be bigger, fitting in more banknotes, cards, or coins. Consider what you're adding to it, especially if you like adding in photos or small papers. Get the passport dimensions for better accuracy. 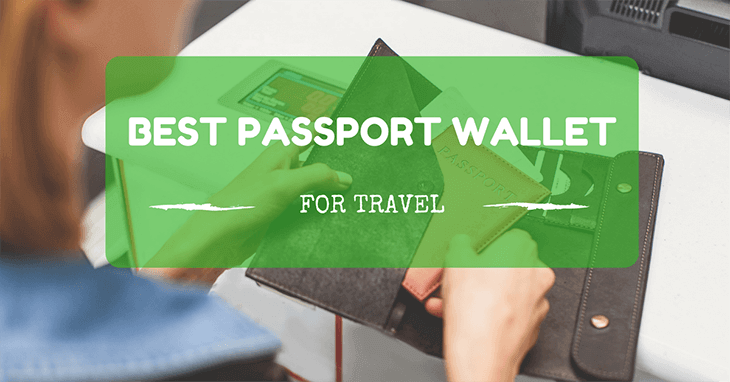 This is similar to size, but you will need to evaluate how big you want your wallet to be, especially the pockets if you want to fit in multiple passports. You can find a passport wallet for 4 passports available for big groups or family or multiple pockets for organizing your cards or cash. You can find a 9 pocket travel wallet passport holder for more room! We recommend that you get the best rated passport wallet according to brands and reputation. Herschel is a great brand to start off with, but also remember to check out the legitimate reviews to make sure you know what you're purchasing! Fjallraven has a unique and functional design that many travelers will appreciate. Why? Because it's got a zippered closure to keep your important documents and prevent it from slipping quickly. It's sized for passports but still has all the space and pockets for cards and bank notes, even coming with a zippered coin compartment. It is made out of polyester with a compact format that will not bulge, even when adding your passport, cards, and money! You can choose from three simple designs, all of them made out of the soft material you need for both comfort and durability. Though the price seems a bit expensive, ranging from $35 to $60, I can say it's definitely worth the investment and would recommend it for travelers who have got the budget. Visconti offers one of the simplest yet functional designs available in the market. It's the best passport wallet made out of leather, coming with card slots and pockets to easily store your small essentials. Not to worry, as it isn't only made out of leather, but with the RFID blocking, you need to protect your cards and passport against being scanned for identification theft. The leather material is known to last for many years to come, and it even keeps all relevant documents in one area, making it easy to store and pull out. The price tag ranges between $24 to $30, an ideal investment for those constantly traveling and need protection for their passport and essentials. Herschel is one of the leading brands you can trust when it comes to bags and passport wallets. With this passport wallet, you are assured quality and style, as well as the best passport holder brand that keeps your passports safe and secure. Upon looking at the passport, you'll appreciate its professional and classic design that's ideal for people in business and professionals on-the-go. It's made out of 100% polyester and imported, so you have assured a soft and comfortable feel as you reach into it. There are three interior card slots for your bank notes or cards, as well as your small documents such as tickets. It's functional and can do a stylish job in keeping your passport safe and organized. At a price that ranges from $20 to $30, it is a steal, especially since you're purchasing a Herschel product! I would recommend this passport holder to just about anyone who wants style and professionalism, especially people in business who travel frequently. What I love about the ORB wallet is how it's small but can fit a LOT of things. It's a multiple passport holder that can hold up to four passports, with compartments for all your travel documents, credit cards, or bank notes. This is the last family passport holder you need for those who want things organized and safe. It is well-designed, coming with a wrap-around zipper to secure your travel documents and passport. It won't slide off as easily, and it's made out of soft neoprene cover for durability and with the RFID shielding in case of theft. You can choose between three colors, suitable for any man or woman. And it is very affordable, only coming at a price that ranges between $20 to $30. For such an affordable price that serves a broad purpose when traveling, it's worth the investment. I would recommend this for those who travel in groups or with family. It does the simple job in keeping all your travel documents secure and can fit in your cash while you're out of the country. YOMO offers one of the coolest types of passport holders for individuals who want an easy way to keep their wallets with them at all times. Instead of trying to squish it in your pocket or letting it get lost in the carry-on, the YOMO passport holder allows you to hang it on your shoulders to easily get access to it. We love how it comes with zippered pockets to easily store your coins or bank notes, as well as a snug fit for your passport. This is one of the best wallet zipper designs I've experienced. It has got five pockets for everything, may it be your passport, phone, cards, money, even your keys. The strap itself is very soft and comfortable, preventing you from itching or getting scares from the string while you hang it around your shoulder. It's a great passport wallet for cross body! It comes in different designs, all suitable for men, women, and even children. You can find multiple colors available according to your preference. And at a price that ranges between $20 to $30, it's a steal and worth the investment for travelers. I would say it's the best passport wallet for neck, because of the soft rope without it hurting around your neck area. Are you about to take the ultimate journey of your life? Then it's important to protect your travel documents and other important items for you to prove your identity and easily cross borders. With the best passport wallet for travel, you can keep everything you need without worry of it slipping off. Out of all the passport wallets we've tried and tested, we believe that the Fjallraven passport wallet is the best wallet for passport. It's the best passport holder brand with a simple yet classy design you can take advantage of. While it's for passports, it has a zippered wallet that can hold in all your cards, money and your coins. It's foldable with a zipper so as not to fall off, and the polyester material has it last for years of usage and travels. You might wow at its hefty price tag, but with its sleek design that can fit in everything without looking bulgy, it's worth every penny. High quality, long-lasting protection, fresh style, what more can you ask for from the best passport travel wallet? Hopefully, this article on the best passport wallet for travel helped you become more knowledgeable on what you need for your travels. So what are you waiting for? Invest in the best passport security wallet for travel today and keep your essentials protected with comfort and style.